Luca Lampredi is the new Built-in Sales Director of Whirlpool Italy. 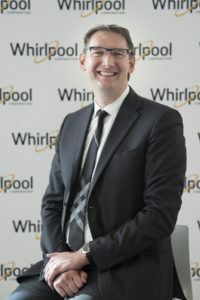 The manager joined the Whirlpool team in 2000, initially dealing with products for the Italian market and subsequently holding positions of responsibility both in commercial roles and in marketing, enriching his experience as a Market Director for the Middle East and North Africa. “I have the pleasure of congratulating Luca on this new professional opportunity – said Paolo Lioy, General Manager of Whirlpool Italy -. I’m sure that thanks to his experience and expertise he will give a big contribution to the growth of our Built-in Italy Division”.